Simplicity is the ultimate sophistication . 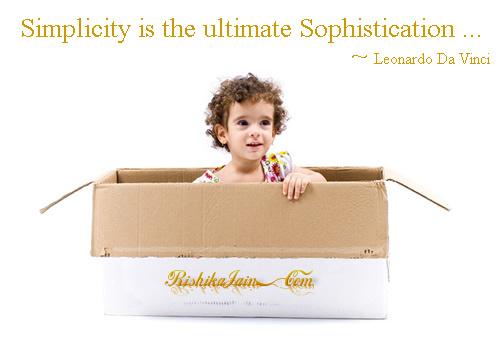 Simplicity is the ultimate Sophistication…. Simplicity is the ultimate Sophistication … ~ Leonardo Da Vinci ….. Simple Rule Isn’t it? But Easy….. Hmmm … Well No!!! – But the good news is that all difficult things can be made easy by practice and focus. And that makes the difference. And therein lies greatness. Even Albert Einstein has said that ‘ If you can’t explain it simply, you don’t understand well enough’ .